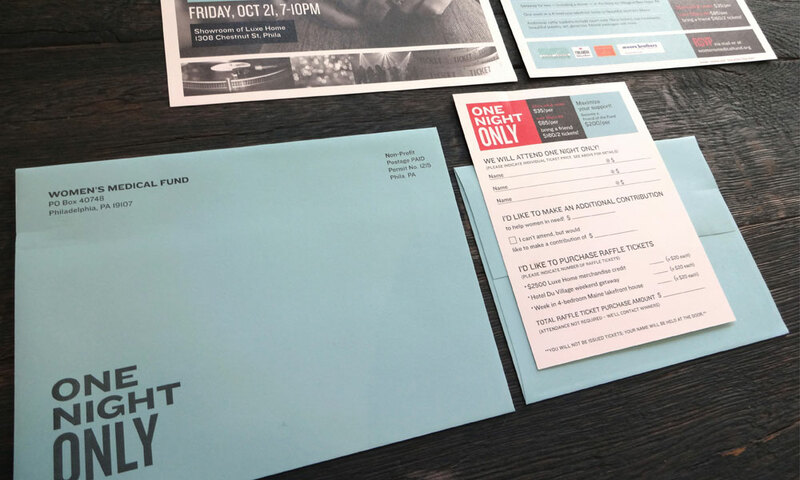 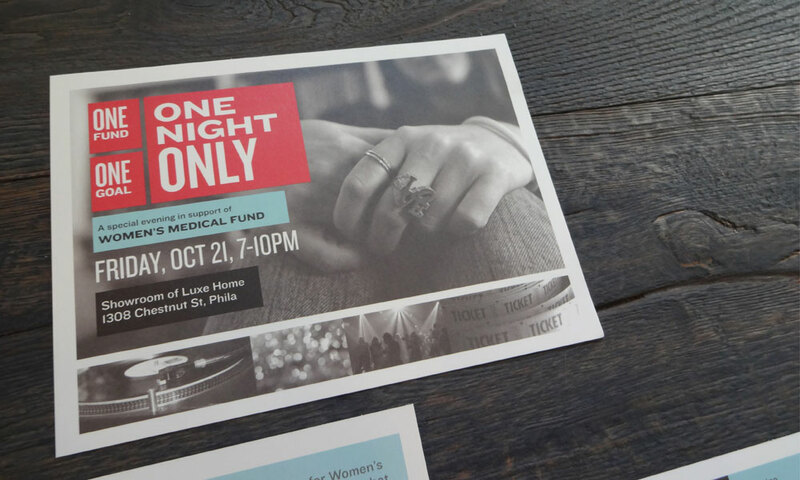 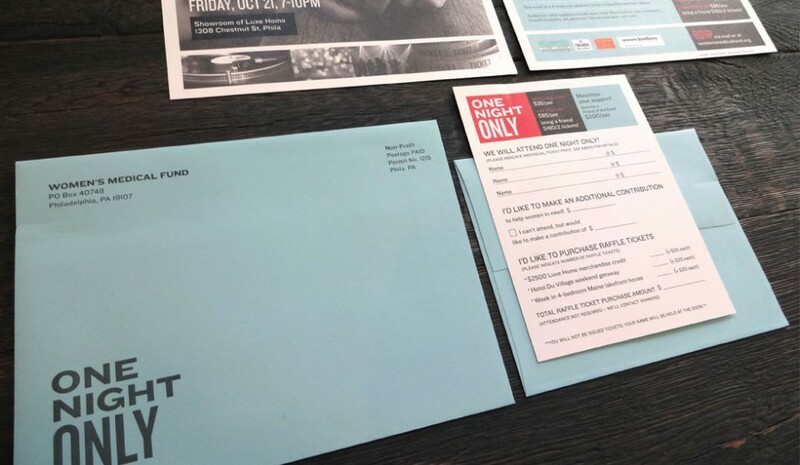 An invitation package designed for the Women’s Medical Fund annual fundraising event, One Night Only. Bold typography, a simple palette and a photograph of the DJ’s iconic LOVE ring helped to achieve the client’s goal of attracting a younger audience base. 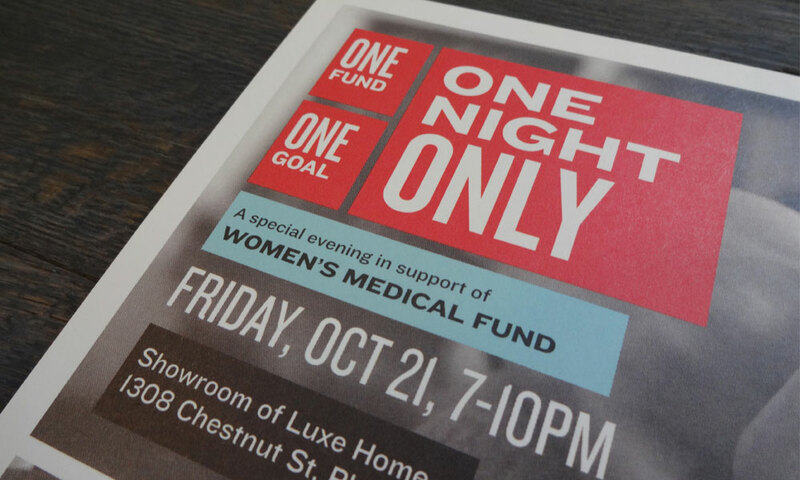 I also wanted to contextualize the One Night Only event name, and as Women’s Medical Fund has one principal purpose – funding abortions – I came up with the tag line “One Goal, One Fund”.